The rich and successful are known for more than a few frivolous habits, including spending their money on gorgeous private yachts. Their “home away from home” is just as lavish and over-the-top as some of their mansions. You won’t believe what is included on these incredibly extravagant yachts. Power couple Jay Z and Beyoncé married in 2008 and have one daughter, Blue Ivy, and baby twins on the way. So what better way to celebrate than on a yacht? This $70 million superyacht was for Beyoncé’s 32nd birthday – and the superstar pair were celebrating aboard the 213-ft. Galactica Star. It can sleep up to 12 guests in custom-built staterooms, including a full-beam master suite with private balcony and a VIP suite on the upper deck. It also has a swimming pool, sauna, and on-deck Jacuzzi. 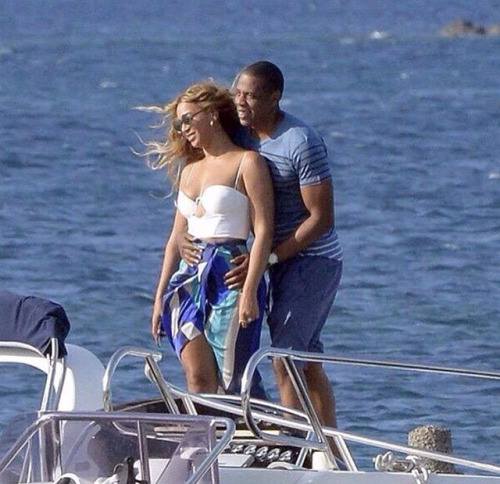 The couple has also been spotted displaying massive PDA aboard their yacht, but who can blame them?